 A TIME TRAVEL ADVENTURE awaits at Old World Wisconsin! Bring your group on an exploration of immersive historical environments including working farms, village shops and heirloom gardens. Get hands-on with history by helping with farm chores, attending a one-room school or riding a replica 1890s bicycle. Shop in the village general store, the garden shop or museum store and enjoy lunch, a snack or ice cream in the Clausing Barn Café. Shop like it’s 1880 in the Crossroads Village with a Time Travel Token! Purchase a historic soda water at the Four Mile House, buy soaps, teas and more at the general store, or items forged by the blacksmith. Items may change with season. Bring your group and explore our eight historic farms and help as we harvest, pickle, and preserve foods of the summer bounty. Take home time-honored tips for your gardens and kitchens from Wisconsin’s early immigrants. This tour is everything you loved from the field trips of your elementary school days, but during this trip, you get a cold beer! Take your group on a tour that feeds all the senses in a world created by Wisconsin’s early immigrants. Experience German gemutlichkeit (feelings of warmth, friendship and good cheer) while learning about 19th century beer brewing! Visit with brewers and learn about the beginnings of Wisconsin’s brewing heritage. Enjoy a sample of a 19th century brew! Experience the real life stories of actual Swedish immigrants who came to Wisconsin in 1843. Explore what it was like for these immigrants to call Wisconsin home. At the end, guests discover what really happened to the people they portrayed and discuss their own family stories and connections to immigration in the U.S. and Wisconsin. Scheduled, themed field trips are available for your groups of 20 or more weekdays throughout the school year. One adult required for each group of 10. See Field Trips for more information.